It was with great pleasure that I demoed the Wii U version of Teslagrad at PAX Prime 2013. I know that word is bandied about a lot, but I truly mean it with this game. Developed by Rain, a Norwegian game development team of only ten talented people, Teslagrad is a puzzle-platformer where you manipulate magnetic fields and electricity to solve puzzles. I got a chance to speak with Magnus Holm, the passionate level designer, about the game and Rain itself. Apparently, in Norway, video games are seen as art and are therefore subsidized by the government (don’t know why it’s not that way here). Thus, it made it much easier for such a small team to not only get it published, but to really put their hearts and souls into the game. Though this is their first game, and though they are a relatively young group of developers, it is readily apparent that they are a talented and passionate group. 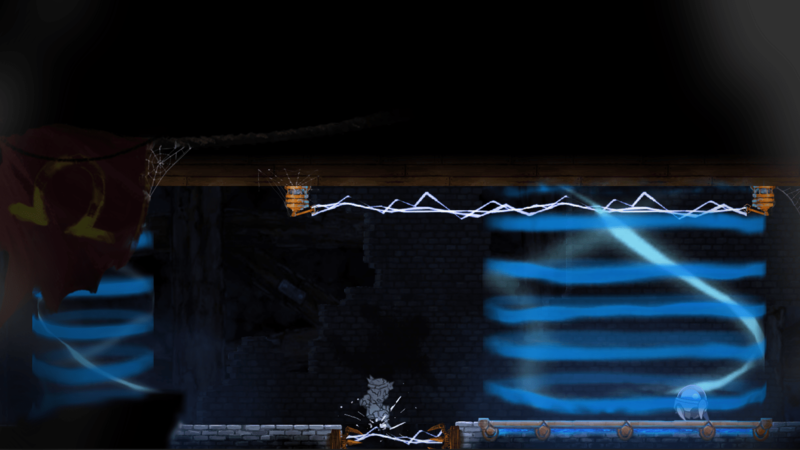 [Teslagrad is technically Rain’s second project—they paused development of their first, Minute Mayhem, to focus on it.—Ed.] 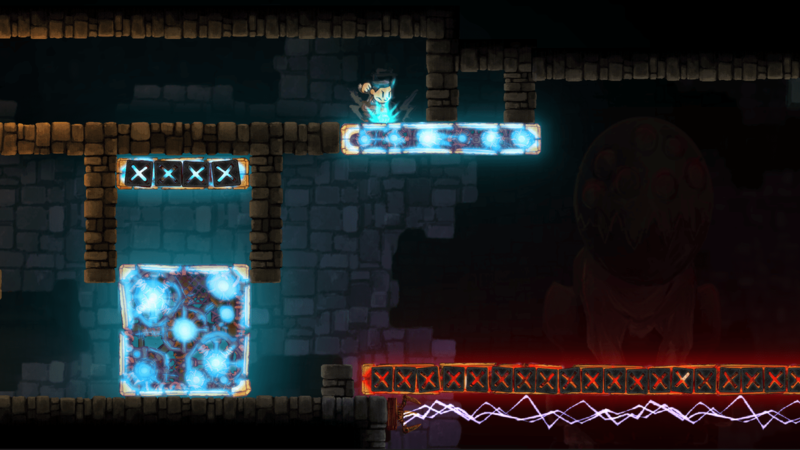 Enough gushing, though—let’s talk more about why you should be excited about Teslagrad. Set in a dystopian world, you play a young boy embroiled in an ancient conflict. On your quest, you will discover the Teslamancers, along with a grim truth about the world. What I was instantly stunned by in the game was the lack of dialogue and text. 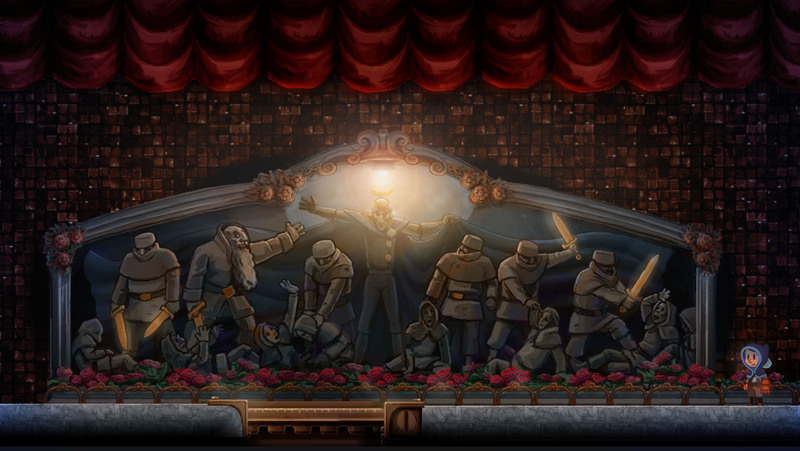 Much like Super Metroid, a game Magnus admits the team is very fond of, Teslagrad tells its story through art, music and atmosphere. 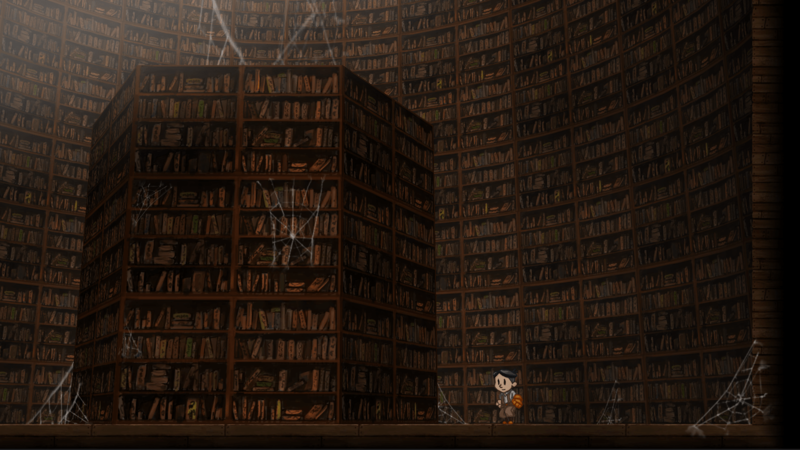 Speaking of art, the animation in Teslagrad is absolutely beautiful and stunning hand-drawn art. Sometimes dark and menacing, other times bright and inquisitive, it never disappointed me as I played through the demo. The controls were equally simplistic and impressive. The young boy quickly discovers a pair of mismatched red and blue gloves that allow him to imbue certain items with a blue or red magnetic field. Blue is attracted to red, and red to blue, and the colors also repel each other. Though it sounds basic, it allows for a lot of complexity as you search through Tesla Tower. 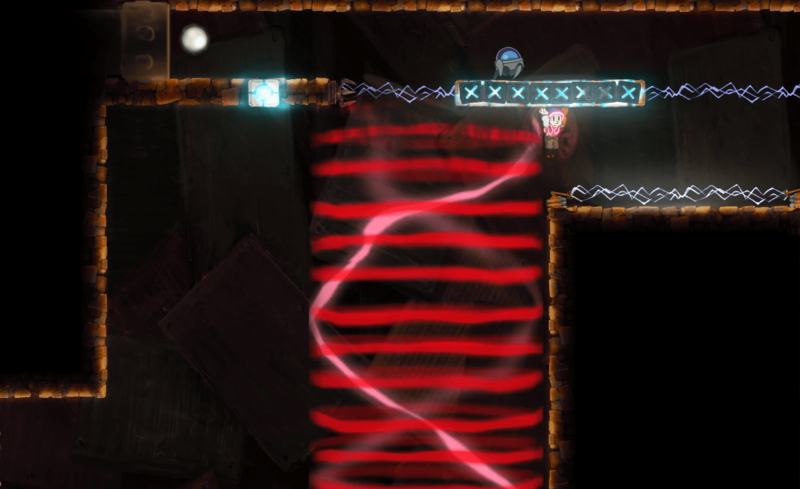 You can even temporarily imbue yourself with a magnetic field, allowing you to bounce like a ball and stick to walls. You control each of the gloves with the L and R shoulder triggers. The magnetic mechanic was truly fun to experiment with, but another cool one was what I like to call the flash boots. These allow the boy to zip long distances through material structures with a press of the Y button, further enhancing your exploration capacity. 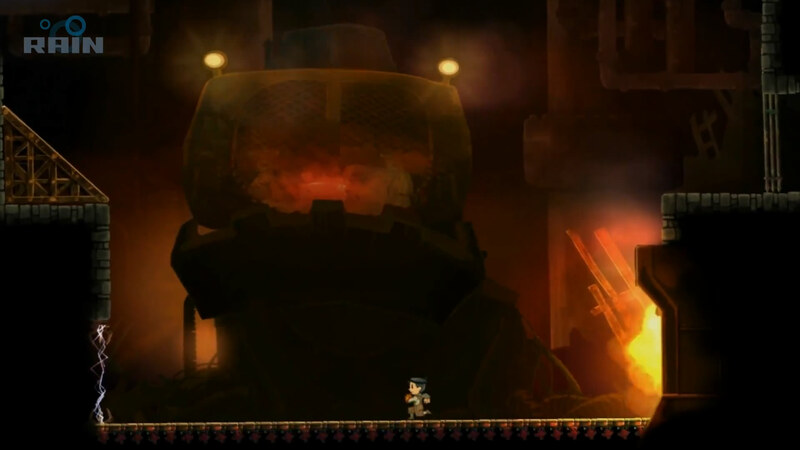 Unlike Super Metroid, Teslagrad doesn’t feature armor or a health meter at all. If you get hit by something bad, you crumble to ash. Luckily, you will simply respawn at the start of the area, so creativity is rewarded and expected. 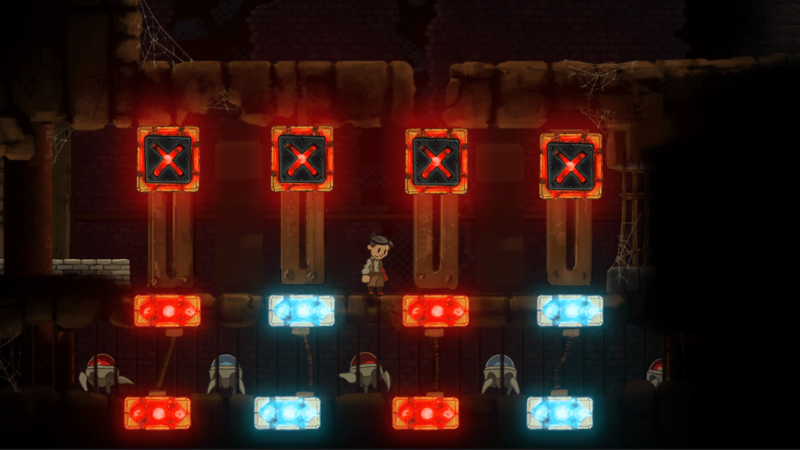 The music in Teslagrad was also somewhat simple. It provided the necessary ambiance to keep me playing and not distract me, featuring many soft whooshes and electric crackling, as well as the occasional snarl of a hideous monster. Speaking of monsters, the demo also included an epic boss fight against the mechanical monstrosity Furnace. Using your magnetic gloves, you have to imbue falling blocks with the correct magnetism to get sucked into his greedy maw and hurt him. Once he gets angered, he will shower the field with great gouts of flame. If you can avoid it, you repeat the process until Furnace is no more. This is somewhat complicated by the conveyor belt you’ll be constantly fighting against, as well as the electric field you’ll have to avoid. However, after many false starts due to my own impatience, I eventually mustered the skill to put Furnace down. Rain promises that the game will include many other epic boss fights, which I can’t wait to try. 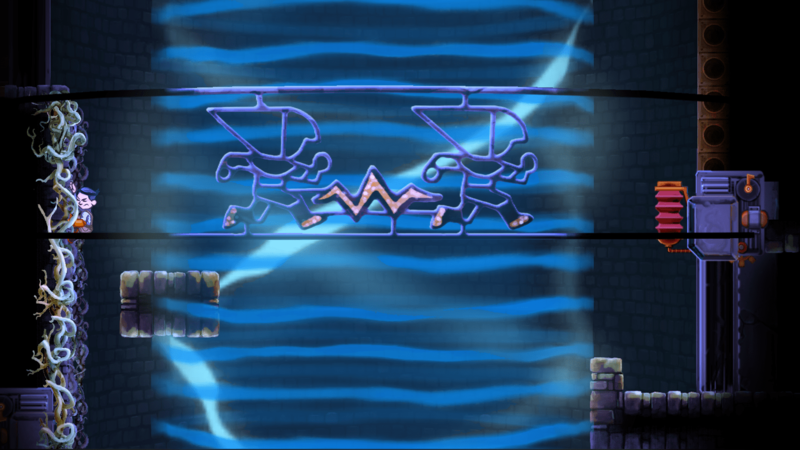 Teslagrad is really a great merging of old and new gaming. 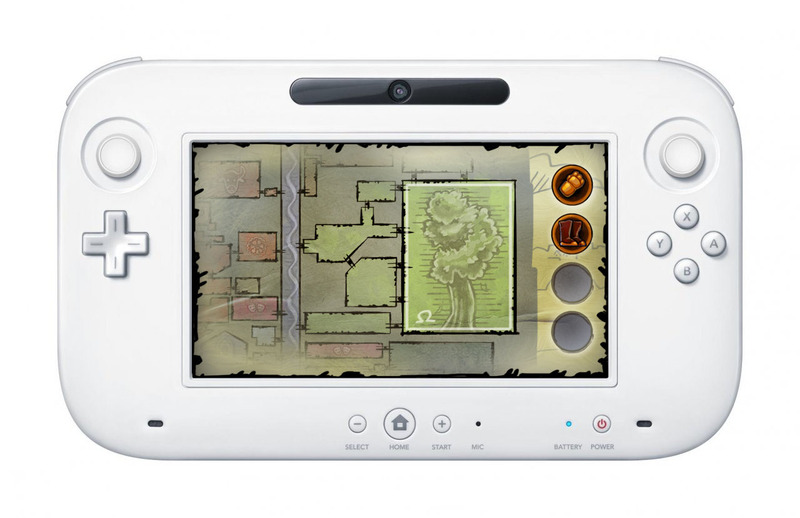 The Wii U version utilized the GamePad marvelously, even allowing the whole thing to be played there. I simply cannot wait till the game makes it to my Wii U so I can unravel the secrets of the tower myself. The game will also be available for the PS3, Windows, Mac OS and Linux. 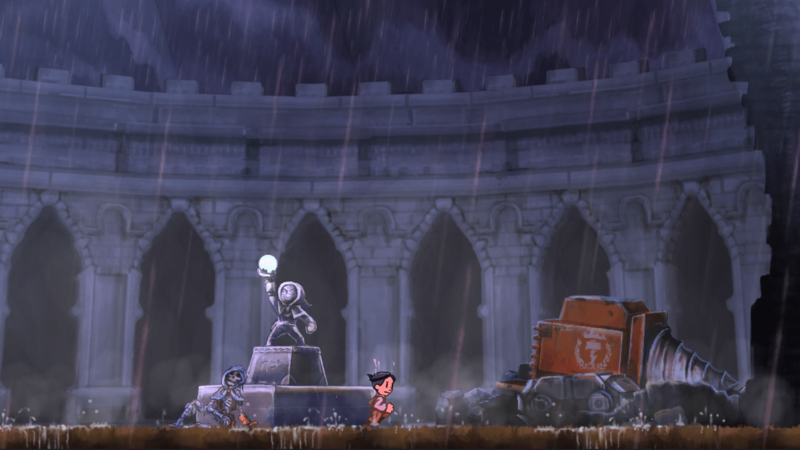 I’m even more excited to hear that Rain isn’t planning on leaving the world of Teslagrad after the game comes out. Sounds like they want to further explore it in future releases. Sounds fantastic to me! Take a look at the following trailer and download the demo, then let us know what you think!